I am sure you have all been wondering where I've been. A lot has happened since the Envision Financial Abbotsford Run For Water Marathon in May. I took a bit of time off structured running and put in some extra time at work at Dizzy Cycles. I usually like a month away from intense training to allow my body and mostly my mind to recover. I was enjoying some mountain biking and was planning for an extra big step up in mileage when going into my fall marathon program. When I felt motivated to get back to training and racing, I had only a couple of self guided speed sessions under my belt before signing up for the Summerfast 10k. I was finding it incredibly difficult to find the motivation to get out the door and push my limits. Its strange to explain, I know I am a runner and I am meant to run and train and compete, but there are a few times a year that I just do not want to do it. It takes just as much work mentally as it does physically to prepare for racing. Lets just say I was slightly underprepared in both ways for this race. Going into this one I had been feeling some achilles pain leading down into my right heel. It wasn't anything major but it was still trying to tell me something. I had been trying to restrengthen it with excersises but it seemed to be slow to respond. Toeing the line I was nervous. I knew a lot of these guys and girls were still primed for competition. Not to mention there were a few superstars there as well. I was worried about the strength of my tendon as well as my endurance. None the less, it was time to give it a test. I felt fairly good for the first kilometre, and was tiring by the second but the achilles was not acting up. Just after the 3k mark my left calf tweaked straight up the middle. It jarred me and I was forced to limp off course. I stretched it and breathed deeply in hopes of getting going again but as soon as started to run again the pain was shooting. I hobbled back through the park to the finish line just in time to watch Kelly Wiebe coast in for the win. Tough day but I could tell that the calf was a tweak and not a full tear. It would not take too long to get it back. I found this which is cool. 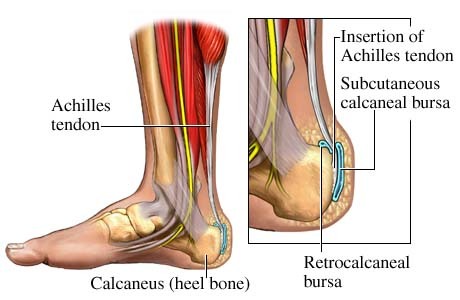 For the next few weeks, the calf had healed but the stubborn achilles heel issue pressed on. I was strength training it with calf extensions, squats and planks. Even still it can be a bit tender while warming up. I find that I need a longer time to warm up with this issue before I am able to push it. I guess I'm getting older after all. I had started back running smaller distances than I'm used to when I came down with a virus. I have not been sick in over two years. I tried oil of oregano, doubling my vitamin C intake and drinking water constantly. I was able to stay normal and it moved through my lungs, my sinus' and then into my body. I even had to take a day off work which I barely ever do. After all of this time off and ups and downs, I had been stressing out quite a bit about not having enough depth for the BC Marathon Championships in Victoria on October 13th. I really wanted to do my best this year in a fall marathon. I have decided not to do a fall marathon now and man am I ever relieved. I feel a great weight has been lifted off my shoulders and I am now feeling more motivated to train consistently. I have diversified my regular training schedule with some new activities. 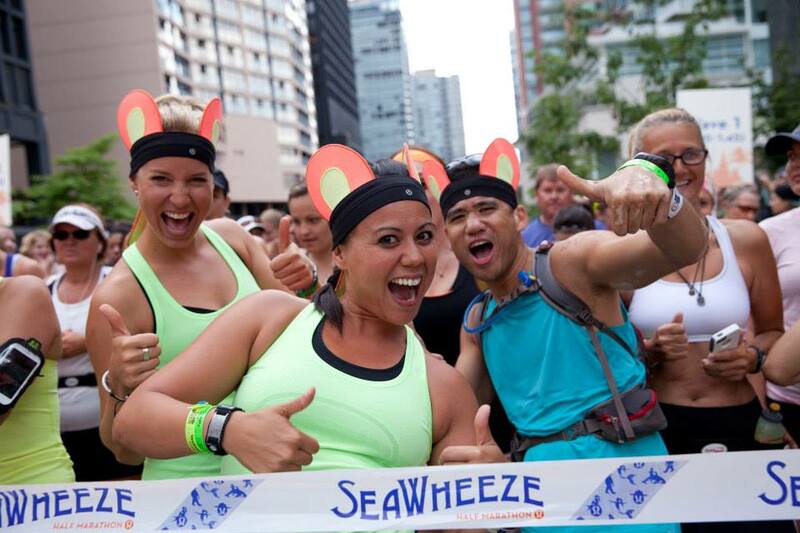 After being a Pace Beaver for the Lululemon SeaWheeze Half Marathon I have received a lot of opportunities to help out in other community events. First off I have been invited to help lead the Saturday morning run club from the West 4th Avenue Lululemon. It has been great helping these runners learn more efficient techniques and exercises to help prevent injury. I feel a great deal of respect from these runners and it makes me proud to see them improve. Its great for me too as I get to work on my technique at the same time. Another club I've just stuck my feet into is called Club Mud. Last night we scaled a mountain and ran back down. After the previous day's tempo run and spin class (which I'll tell you about in a second) I was having a tough time keeping up to these mountain runners. They were all very talented athletes and there was a group of around 20 last night. They didn't stop except for the view and ran wherever the terrain would allow. I really enjoyed the challenge and my competitive nature wouldn't allow myself to drag behind. We even had a great pick up at the bottom trail to the parking lot which was great. Sub 3 minute/km pace for sure for the last 2km with Ed and James was a blast. So last thing for now is Cadence Vancouver spin classes. My friend Mike Porter the owner of the studio was a participant in The SeaWheeze half marathon and happened to end up in my pace group. He was inspired by my enthusiasm and genuine nature in which I worked to keep the athletes in the group motivated and strong. He has asked me to come out to his studio to learn the ropes and hopefully become a spin instructor. I am always open to new opportunities and know that the athletes who go to Cadence are respected and connected within the community. The first class was a challenge and I really enjoyed the workout. I look forward to tomorrow morning's class and see this as a good way to start or finish my work day. I have entered into a few races this fall including the Coho Salmon run 14k and the Down Town East Side 10K. The Salmon run I like because of the scenery and it's not easy. 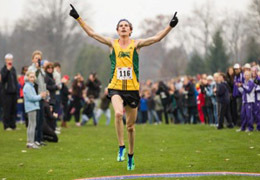 I have also committed to the Lower Mainland Cross Country Series. I know these combinations will help to diversify my strengths and rebuild my overall strength and speed for another successful spring marathon. Thats all for now sports fans! Thanks for reading and good luck with your training.